Folding Fire Pit Just $36.80! Down From $90! PLUS FREE Shipping! You are here: Home / Great Deals / Amazon Deals / Folding Fire Pit Just $36.80! Down From $90! PLUS FREE Shipping! Looking for a quality and stylish fire pit? Amazon is currently offering this Folding Fire Pit for just $36.80 down from $89.99 PLUS FREE shipping! 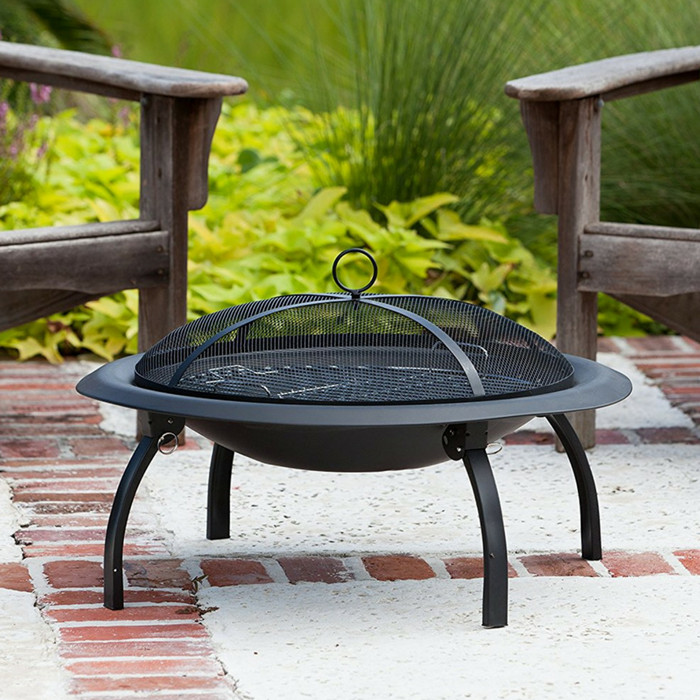 This folding fire pit features a 29-inch heat resistant painted steel fire bowl and folding legs for easy portability. It comes complete with heat resistant mesh fire screen, a wood grate and cooking grate. Also included is a carrying bag and screen lift tool. Really nice!